Belize NMS: An approaching tropical wave will support relatively wet conditions across the country today. 24-hour forecast: Cloudy periods along with some showers or periods of rain and isolated thunderstorms over most areas today, decreasing and becoming isolated later tonight and tomorrow morning. General Outlook: Wed. and Wed. night is for sunny with cloudy spells with isolated showers or isolated thunderstorms, mainly inland and south. Today E-SE 10-20 kts Choppy 3-4 ft SOME SHOWERS/PERIODS OF RAIN AND ISOLATED THUNDERSTORMS. Tonight E-SE 10-20 kts Moderate 4-6 ft A FEW SHOWERS OR ISOLATED THUNDERSTORMS OVER THE SOUTH. Outlook E 10-20 kts Moderate-Rough 5-7 ft ISOLATED SHOWERS OR ISOLATED THUNDERSTORMS. Scatterometer data along with surface observations show fresh to strong winds across the south-central Caribbean. Trades in the central Caribbean will increase to near gale force along the coast of Colombia Thu night and Friday. High pressure north of the area and lower pressure expected in the eastern Pacific, due to possible tropical cyclone formation, will allow east winds to increase to strong over the Gulf of Honduras Thu night and Fri.
SW winds ahead of an upper level trough from southern Florida to Bay of Campeche is transporting abundant upper level moisture from Central America across the NW Caribbean into eastern Cuba. Last edited by Marty; 06/06/18 06:02 AM. 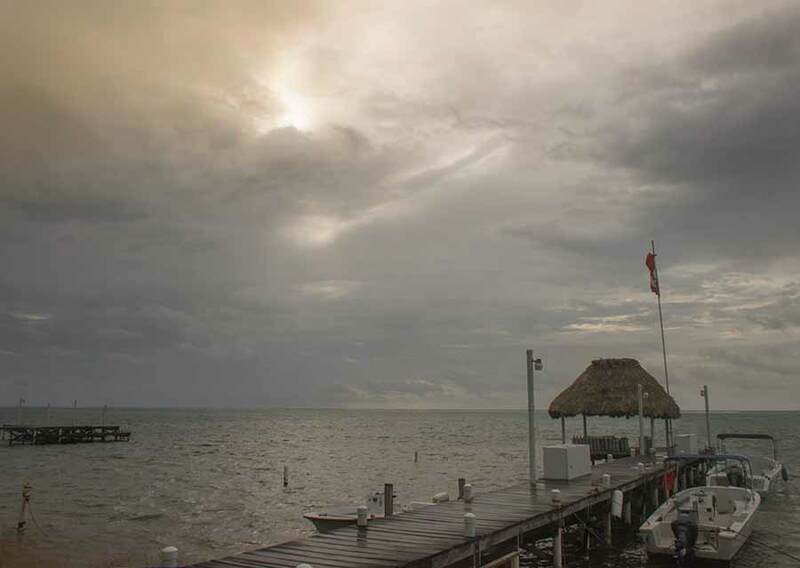 On Ambergris Caye this morning we have an overcast sky with heavy rain . The wind is from the East at 5 mph. Our expected high today is 88. 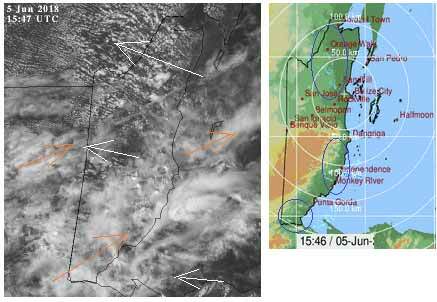 Many swellups occurring these days in the Monsoon band, which now includes Belize, but they can be patchy. 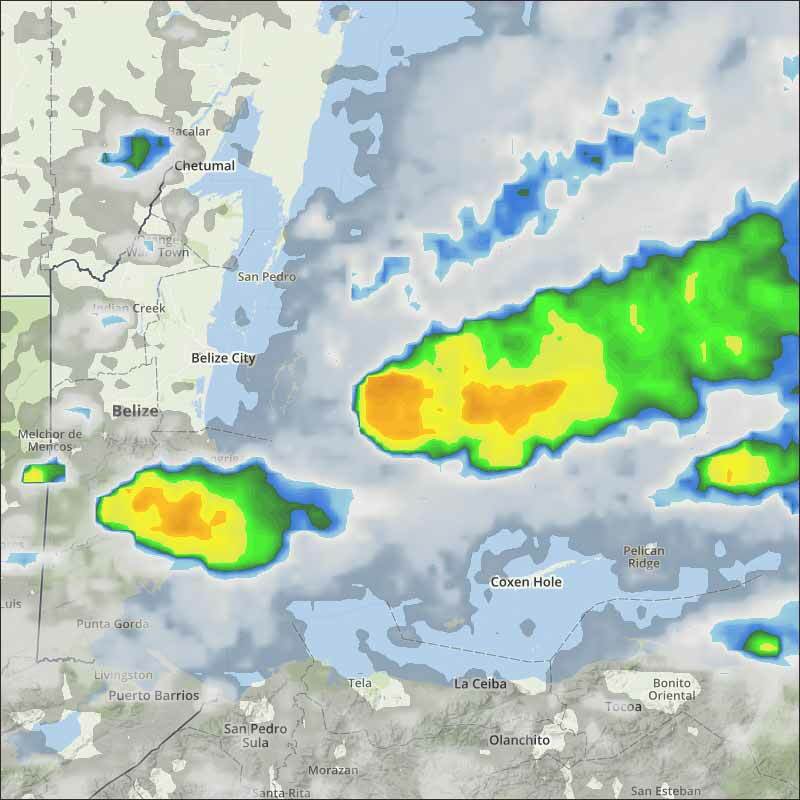 North Belmopan had an absolute drenching of over 40mm of rain early this morning, which, on its own, is enough to classify as the rainy season, yet just 5 miles to the west had none. 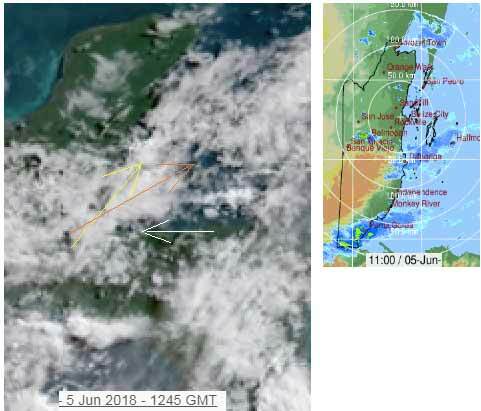 The north Yucatan has been consistently clear skies for many days, but the clouds and rains are now over Belize. Looks like another cloudy day with outbreaks of rain anywhere at any time, perhaps the odd patches of sun. The Cloud & rain picture. There is still rain about in places, not really moving in any direction, but less than this morning. We are getting a fair bit of sunshine at present.